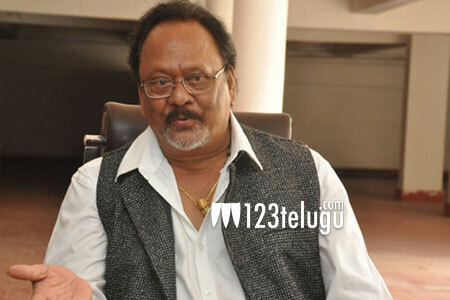 Today, Rebel Star Krishnam Raju celebrates his 75th birthday. On this occasion, the veteran actor-filmmaker interacted with the media personnel in a freewheeling chat yesterday. One of the journalists asked Krishnam Raju to comment about the current and the future state of Telugu film industry. Krishnam Raju lamented that the hike in ticket rates has distanced audiences from the theaters and that several film personalities have been devising various strategies to revive the Telugu film industry. The multifaceted actor, who completed 50 years in Telugu Cinema, said that plans to build a chain of mini theaters with low ticket rates are under scrutiny and that once implemented, these mini theaters may revolutionise the art of film exhibition and will also encourage audiences to head back to the theaters. The senior star was also optimistic that these mini theaters will pave new avenues for upcoming filmmakers in Telugu, Tamil, Kannada and Malayalam. Popular film personalities like Rajamouli, Shyam Prasad Reddy and Shobu Yarlagadda etc are lending their hand in this ambitious revival mission, revealed Krishnam Raju.